Opendata.ch/2017 is Switzerland’s leading conference convened around the subject of Open Data, hosted by the Lucerne University of Applied Sciences and Arts and Opendata.ch. On June 26 and 27 in 2017, we are going to shape the national conversation among business executives, politicians, public officials, researchers and open data enthusiasts through a very diverse and dynamic program that includes subjects such as Open Smart Cities, Open Transport Data, Open Food Data, Data Infrastructure and My Data/Personal Open Data. An exceptionally rewarding program is waiting for you: High level speakers from Switzerland and abroad will entertain an audience of 400 people. 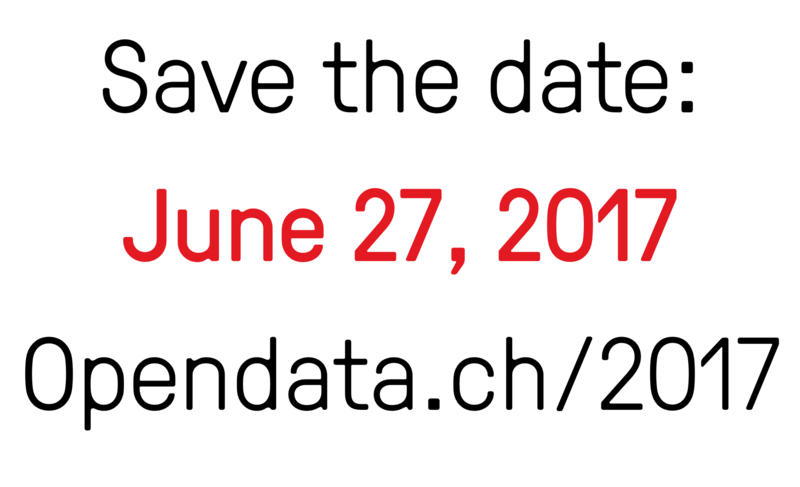 On June 27, the annual conference Opendata.ch/2017 will take place and have – as known from previous years’ experience – a lasting positive impact on the subject of Open Data in Switzerland. The pre-conference on June 26 will address Open Government Data exponents from Germany, Austria, Lichtenstein & Switzerland. This convention will be followed by an evening-event called „Swiss Data Alliance“ and end in a relaxed atmosphere with an apéritif.